We will find convenient residential alerts, comprehensive specifics in properties, an intuitive search functionalities and unique sales history. With these ranges of services that we offered, we also provide the easiest and most informative luxury-home browsing experience. Contact us to learn more of our reputable brand in Hong Kong real estate. Landmark Asia Realty Limited aims to match the rich culture that each district brings, accompanied by each client’s unique specifications. Acting as the mediator between our clients and the quality of the residential properties we represent, we satisfy our clients’ wishes and standards to the fullest. With the experienced negotiators and the most up-to-date computerized database system, Landmark Asia Realty Limited provides clients with the latest market information and professional advice. 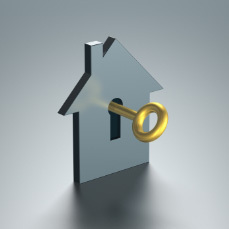 We offer a comprehensive and competitive house hunting package to our clients. Besides, we also offer services on tenant representation, tenancy agreement advice, rent review, lease renewals and even interior design consultancy. ABN Amro Bank Atradius Atkins China Ltd.
Goldman Sachs Herbalife Home Depot Ltd.